黄孝钰, 叶思源, 袁红明, 丁喜桂, 赵广明, 杨士雄, 何磊, 王锦, 刘瑾, 裴绍峰, 韩宗珠, 裴理鑫, 郭若舜. 辽河三角洲湿地生态系统对表层沉积物重金属元素的移除作用[J]. 地质通报, 2019, 38(2-3): 414-425. Huang X Y, Ye S Y, Yuan H M, Ding X G, Zhao G M, Yang S X, He L, Wang J, Liu J, Pei S F, Han Z Z, Pei L X, Guo R S. Heavy metal distribution in the wetland sediments of the Liaohe delta: Implications for filter function of wetlands[J]. 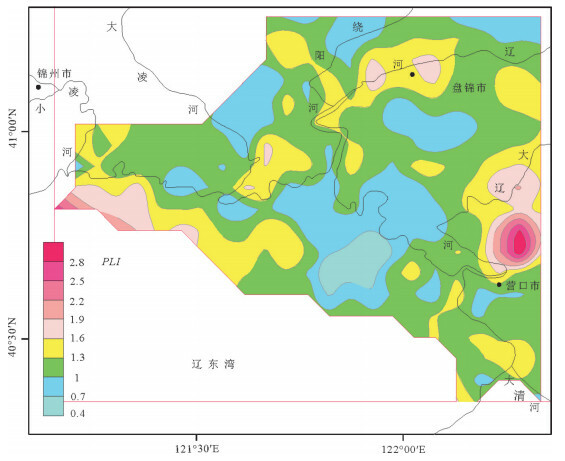 Geological Bulletin of China, 2019, 38(2-3): 414-425. Abstract: Heavy metals (As, Cd, Cr, Cu, Hg, Pb, Zn), organic carbon (Corg) and grain size of 223 surface sediment samples in the Liaohe upper delta plain wetland (UDPW) and 150 surface sediment samples in neighboring shallow sea wetland (SSW) were analyzed to evaluate the spatial distribution and assess the risk of metal pollution. Concentrations of heavy metals in sediments from both UDPW and SSW are in the decreasing order of Cr (Zn) > Pb > Cu > As > Cd > Hg. The results of two-sample-t-tests indicate significant higher heavy metal concentrations in UDPW compared with SSW except As and Hg, implying the accumulation or biouptake of particulate metal within the wetland ecosystem and reducing metal input to marine coastal systems. Multiple assessment approaches, namely, the metal enrichment factor (EF), geoaccumulation index (Igeo), contamination factor (CF) and pollution load index (PLI) were jointly used to explore the risks of the anthropogenic contaminations. The results indicate unpolluted nature for Pb and Zn, moderate degree of contamination for the remaining metals both in UDPW and SSW. Furthermore, the distribution of heavy metals is substantially influenced by grain size and the concentration of Corg, and there is significant correlation between the concentrations of heavy metal, especially for the concentration of Corg and heavy mentals in surface sediment samples of shallow sea wetland (r=0.439, p < 0.01), revealing the metal chelation acted by organic matter. 蔡奎, 段亚敏, 栾文楼, 等. 河北平原农田土壤重金属元素Pb、Hg地球化学行为的影响因素[J]. 中国地质, 2016(4): 1420-1428. Suthar S, Nema A K, Chabukdhara M, et al. Assessment of Metals in Water and Sediments of Hindon River, India:Impact of Industrial and Urban Discharges[J]. Journal of Hazardous Materials, 2009, 171(1/3): 1088-1095. Yang Z F, Wang Y, Shen Z Y, et al. Distribution and speciation of heavy metals in sediments from the mainstream, tributaries, and lakes of the Yangtze River catchment of Wuhan, China[J]. Journal of Hazardous Materials, 2009, 166(2/3): 1186-1194. Förstner U, Wittmann G T W. Metal Pollution in the Aquatic Environment[J]. Springer, 1979. Dou Y, Li J, Zhao J, et al. 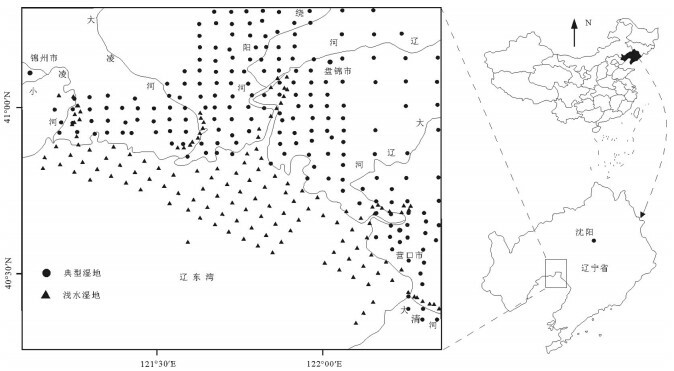 Distribution, enrichment and source of heavy metals in surface sediments of the eastern Beibu Bay, South China Sea[J]. Marine Pollution Bulletin, 2013, 67(1/2): 137-145. Yang F, Zhao D Z, Suo A N. The Study of Shuangtaizihekou Wetland Landscape Temporal and Spatial Changes[J]. Remote Sensing Technology & Application, 2008, 23(1): 51-56. Pekey H. Heavy metal pollution assessment in sediments of the Izmit Bay, Turkey[J]. Environmental Monitoring & Assessment, 2006, 123(1/3): 219-231. Robert L. Folk. A Review of grain size parameters[J]. Sedimentology, 1996, 6(2): 73-93. Srinivasa G S, Ramakrishna R M, Govil P K. Assessment of heavy metal contamination in soils at Jajmau (Kanpur) and Unnao industrial areas of the Ganga Plain, Uttar Pradesh, India[J]. Journal of Hazardous Materials, 2010, 174(1/3): 113-121. Lu X, Wang L, Kai L, et al. Contamination assessment of copper, lead, zinc, manganese and nickel in street dust of Baoji, NW China[J]. Journal of Hazardous Materials, 2008, 161(2/3): 1058-1062. 管后春, 李运怀, 彭苗枝, 等. 黄山城市土壤重金属污染及其潜在生态风险评价[J]. 中国地质, 2013, 40(6): 1949-1958. Tomlinson D L, Wilson J G, Harris C R, et al. 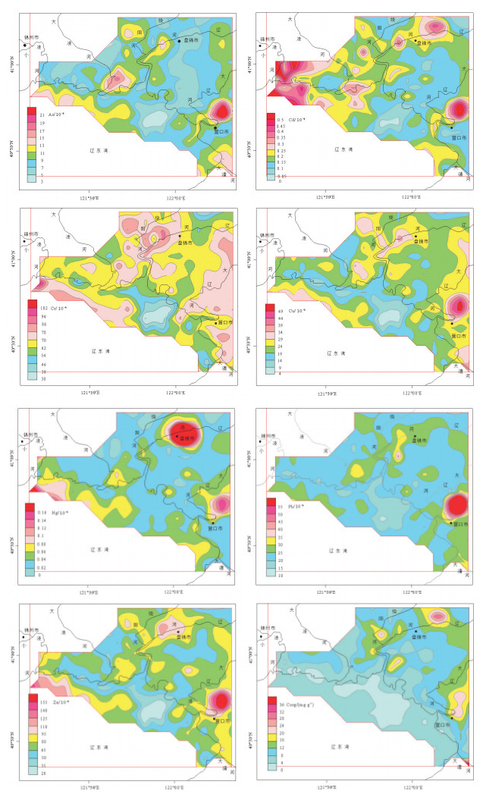 Problems in the assessment of heavy-metal levels in estuaries and the formation of a pollution index[J]. Helgoländer Meeresuntersuchungen, 1980, 33(1/4): 566-575.